Anne Mortimer, Countess of Cambridge. Anne Mortimer, ancestress of the House of York from whom they derived their claim to the throne, was was born at New Forest, Westmeath, one of her family's Irish estates on 27 December 1390. Anne was the eldest daughter of Roger Mortimer, 4th Earl of March, and Eleanor Holland. The Mortimers were a powerful aristocratic family of the Welsh Marches, centered around Wigmore Castle in Herefordshire, who from the fourteenth century held the title of Earl of March. The surname is of Norman origin, and translates as 'stagnant lake' and is said to derive from either "Mortemer", the site of the Cistercian Abbaye de Mortemer at Lisors near Lyons-la-Forêt, close to Rouen or from the village of Mortemer further north in the Seine-Maritime, which predates the Abbey at Lisors by more than a hundred years. Anne's mother Eleanor Holland was the daughter of Thomas Holland, 2nd Earl of Kent, and Lady Alice FitzAlan, her maternal grandfather Thomas Holland was the son of Joan 'Fair Maid of Kent' by her first husband Thomas Holland of Upholland in Lancashire, her grandmother Lady Alice FitzAlan, was the daughter of Richard Fitzalan, 10th Earl of Arundel, and his second wife, Eleanor, daughter of Henry, 3rd Earl of Lancaster, grandson of King Henry III. 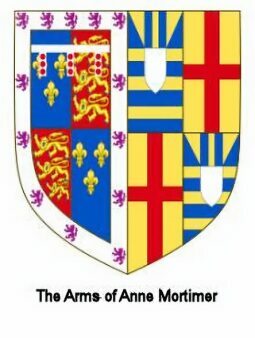 Anne also descended from King Edward III through her paternal grandparents, Edmund Mortimer, 3rd Earl of March, and Philippa of Clarence, who was daughter of King Edward III's second surviving son, Lionel of Antwerp, Duke of Clarence. King Richard II had no issue and therefore named Anne's father, his cousin Roger Mortimer, 4th Earl of March, as his heir presumptive. On Roger Mortimer's death on 20 July 1398 his claim to the crown passed to his eldest son, Edmund. Anne Mortimer had two brothers, Edmund Mortimer, 5th Earl of March, and Sir Roger Mortimer, and a sister, Eleanor, who married Sir Edward Courtenay. When the first Lancastrian king Henry IV usurped the throne of his cousin Richard II, Anne's two brothers, viewed as a threat by the new king, were kept in custody at Windsor and Berkhampstead castles, their sisters Anne and Eleanor, remained in the care of their mother until her death in 1405, and were described as 'destitute' after her death. (1) Isabel of York (1409 - 2 October 1484), who was married to Sir Thomas Grey, son and heir of Sir Thomas Grey (c.1385 - 1415) of Heaton in Norham, Northumberland, and his wife, Alice Neville, the daughter of Ralph Neville, 1st Earl of Westmorland, by whom she had no issue. She married (2) Henry Bourchier, 1st Earl of Essex, by whom she had seven sons, William, Sir Henry, Humphrey Bourchier (d.1471), John Bourchier, Lord Ferrers of Groby (d.1495), Sir Thomas, Edward and Fulk, and one daughter, Isabel. (2) Henry of York- died in infancy. 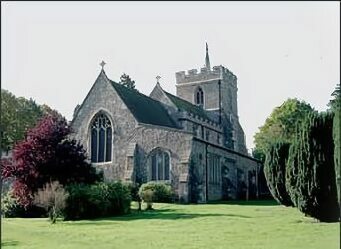 "I examined three skeletons at King's Langley. Of these one was the skeleton of a powerful man, considerably past the middle period of life; a second was the skeleton of a woman, as far as I could judge, between thirty-five and forty years of age; the third had belonged to a younger woman, whose age, however, could not have been very far from thirty. The bones of the first two had got somewhat intermingled; those of the third had been kept safely apart from intermixture in a leaden coffin. The skeleton of a woman about thirty years of age, a little over, probably, rather than under that age, with some auburn hair still remaining, though detached from the skull. The wisdom tooth was absent in the lower jaw on the left, and one pre-molar was absent on the right side. She was between 5 foot 3 and 5 foot 5 in height. After Anne's death, her widower Richard, Earl of Cambridge (pictured left), remarried to Maud Clifford, the ex wife of John Neville, 6th Baron Latimer, and daughter of Thomas de Clifford, 6th Baron de Clifford, In 1415 he conspired to depose King Henry V, and place his late wife's brother, Edmund Mortimer on the throne. Mortimer lost his nerve and revealed the plot to the King, and served on the commission which condemned his brother-in-law Cambridge to death. Cambridge was beheaded on 5 August 1415 and buried in the chapel of God's House at Southampton. Although Richard, Earl of Cambridge's title was forfeited, he was not attainted, and his and Anne Mortimer's four-year-old son, Richard, was his heir. Three months later Cambridge's elder brother, Edward of Norwich, 2nd Duke of York, was killed at the Battle of Agincourt, most likely smothered in his own armour and the four-year-old Richard of York succeeded to the Dukedom of York and his uncle's vast estates. 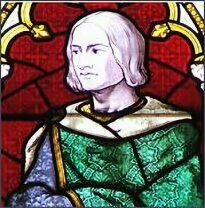 Anne's youngest brother, Roger Mortimer died without issue circa 1413 and on the death of her childless elder brother Edmund Mortimer on 18 January 1425 his claim to the throne also devolved upon his nephew Richard Plantagenet.